Are there any recent authors you’ve seen successfully come out of fandom? I absolutely *loved* THE DISASTERS–it’s one of my favorite YA sci-fi’s to date–and I particularly loved your fandom references (I noticed several from Firefly in particular :D). I was wondering if you’ve written fanfiction, and if so, how that has influenced your original fiction as you’ve developed your craft. What are some common mistakes seen in fandom that writers should watch out for in their original work? 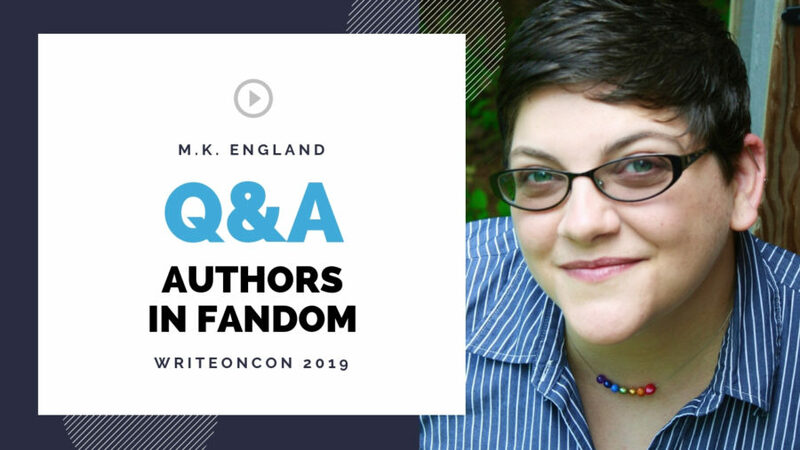 What ways can authors grow their fandom organically? Fandom has become more widely accepted, but are there still stigmas that you feel need to be addressed? Everyone’s heard about the famous cases of fanfiction that turns into traditionally published fiction. How can writers of fanfiction potentially turn their work into original fiction without infringing on the first creator’s work? What’s your favourite thing about book-based fandoms? Can an author be involved in their own fandom, or should they hold themselves at remove and let their fandom do their own thing? What makes fanfiction so appealing to young or new writers? Some fandoms can become kind of toxic. What do you think causes that, and what can an author do if that happens to their own? Does being involved in fandom help you to see the “fan-worthy” moments that hook readers in your own work? Have you been able to carry fandom friends over into your personal writing world? Do you know of any instances where authors/creators have taken original fan work or theories and worked it into their own canon? When it comes time to get blurbs for your book, how do you ask an author you love to read/blurb it? Is it better to get across your professionalism of being a fellow creator, or is it better to let your fan-flag fly to show your enthusiasm for that author in the hopes that they’ll read your stuff? Which books have the best fan interaction? What makes these stories so appealing to readers? Harry Potter has one of the biggest worldwide fandoms. What positive things can we model after that community? What things might tarnish the reputation of the brand? How do you balance putting too much of your fandoms into your writing versus letting them inspire you to write your stories? Do you have any tips on how to balance writing, your fandoms, and finding new content to love and enjoy? There aren’t enough hours in the day! Even if your book isn’t based on fan fiction, but appeals to certain fan bases, could you use it in your marketing?